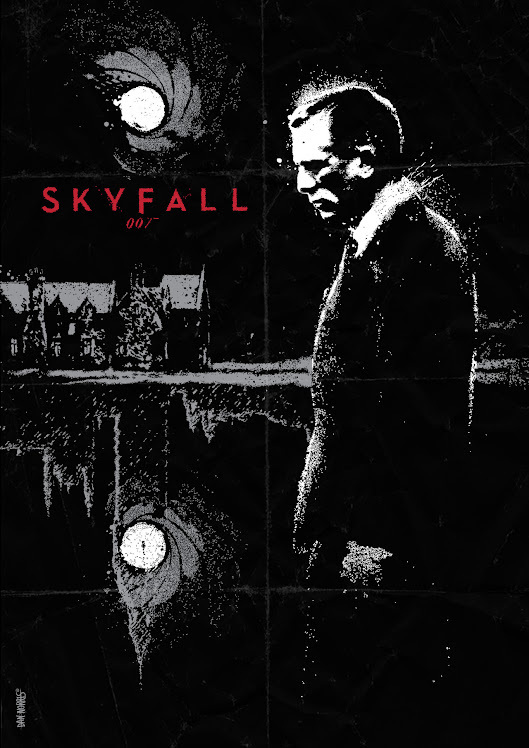 South Florida Filmmaker | \ Movie Posters [Redux] \ Movie Poster REDUX: Ian Fleming's James Bond 007 in "Skyfall"
Movie Poster REDUX: Ian Fleming's James Bond 007 in "Skyfall"
With the release of the 23rd installment of Ian Fleming's James Bond (code designation "007") film series, "Skyfall", I figured I'd share an alternative poster of the film by UK based illustrator Daniel K. Norris. James Bond, created by English writer Ian Fleming back in 1953, made his first film appearance in 1962's "Dr. No" and was played by Sean Connery. Since then, the James Bond film series has become the longest-running and second highest-grossing film franchise to date. Fleming took the name for his character from that of the American ornithologist James Bond, a Caribbean bird expert. "I wanted the simplest, dullest, plainest-sounding name I could find", said Fleming. "James Bond was much better than something more interesting, like Peregrine Carruthers."